Recently, when I was doing some admin chores, I put on Hulu.com to keep me company. I wanted something I didn’t have to pay close attention to as I knew I would tune it out most of the time while I was working. 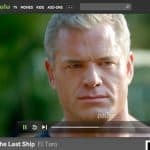 We looked around a bit on Hulu and found the show The Last Ship. It’s basically about a U.S. Navy ship, the USS Nathan James, on a mission to the Arctic to test military equipment in cold weather conditions. On board, they have a British scientist, Dr. Rachel Scott, purportedly there to study some arctic birds. It turns out that the real mission is that she’s there to collect “primordial samples” of the virus that has already killed 85% of the world’s population (the USS Nathan James has been in the arctic for awhile). Dr. Scott needs the samples in order to create a vaccine for the remaining human population on earth. I became caught up in the show because in Season 1, episode 3, there is a fantastic example of a a good Sun person, Captain Tom Chandler, the commander of the USS Nathan James, and an example of a person in command with a bad Sun, Admiral Konstantin Ruskov, the commander of the Russian ship (I often wonder if the script writers know astrology). These two Sun characters come into conflict with each other, of course, and we get to see how the Sun, good and bad, acts in dangerous confrontation situations. Remember in the previous post on the sign of Leo I mentioned that the Sun can produce a person with a “square” face and/or body? Check out the face shape of the Captain Chandler of the U.S. Navy to the left. Notice the square shape to his face and jaw. In this photo, his grim expression is because he is dealing with yet another person with a “bad” Sun in a position of command (season 1, episode 5). This person is abusing his position horribly and Commander Chandler is faced with the decision of whether or not to go “off mission” in order to save these helpless and oppressed people. Of course, he does! The healthy Sun will not harm those that are more vulnerable than himself and he can’t just sit by when someone needs his help. If he can help them, he will. Yet, in this same episode, they encounter a group of people infected with the virus, and even though it causes him great pain, he knows he can’t help them so he has to leave them behind to their sad fate. The character of Captain Chandler is such a perfect Sun symbol! SPECIAL OFFER: If you’ve ever wanted to be a leader, my comprehensive reading, Your Great Work, is the reading that will tell you if you are a leader by temperament and how to be the best leader you can be. Or, if you’ve wanted to be a CEO, President of the U.S., or just self-employed this consultation will tell you if you will achieve it. **NORMALLY $267.00, if you mention this ad to me (karen@divinetimeastrology.com), you get a 15% discount, making it $226.00. This reading takes place over two separate 60 to 90 minute sessions. Read more about my reading, Your Great Work, to see everything that we cover. EMAIL ME at Karen@DivineTimeAstrology.com, and we’ll get you set-up to finally know for sure why you’re here and if you are a leader! Learn more about Your Great Work. He uses fear, intimidation, and coercion to get what he wants – he kidnapped another scientist’s wife to force that scientist to be a spy on the USS Nathan James. If the spy didn’t do what the Admiral wanted, he would kill the spy’s wife. He nuked France just to show he has the power to do it! The Admiral is a rather two-dimensional character at this point, so I don’t have more to say about him, but I think there will be future contacts between him and commander Chandler because the Admiral is such a good villain. If you know someone who has a lot of the qualities of Commander Chandler in The Last Ship, then the person likely has a strong Sun in an angle (in the birth chart), or the Sun as the Atmakaraka* (the very important Self-Producer planet) in Leo or a compatible sign for the Sun, or they have the Atmakaraka in the navamsa (called the Svamsa) in the sign of Leo. It’s likely aspected by benefic planets such as Jupiter, Venus, or the Moon, or Jupiter, Venus or the Moon is in the 10th sign from the Sun. It pertains the atmakaraka in the sign of Leo in the main birth chart too. If you know a person in a position of authority who is more like Admiral Ruskov (luckily, most of us don’t know someone as extreme as this character), and he has the Svamsa in Leo, it will be afflicted by Saturn, Mars, Rahu, or Ketu. This negative type of Sun will usually show up in everyday life as the boss from hell, or a person who constantly has conflicts with their bosses or other authority figures, or a person who thinks they should be in a position of authority and command, but isn’t because of their arrogance and jealousy of those who are in authority. “Leo (in general)-Remaining wild beasts of prey, ones own place remains. The Svamsa in Leo gives effects of wild beasts, lions, tigers, and dogs. Large cats are symbols of leadership, therefore, the Svamsa falling in Leo indicates challenges in respect to leadership. If the Svamsa is afflicted (aspected by Saturn, Mars, Rahu, or Ketu), there is abuse of leadership, a lack of development in leadership, or a tendency to follow others at ones own expense. This is said in some traditions to attract the displeasure of the king of beasts, the lion! (I looked but I couldn’t find any examples of this in real life yet, if you find any, I’d love to know). 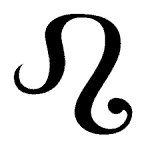 Under beneficial aspect (Venus, Jupiter, Moon), the Leo Svamsa may create a noble and able leader who is loyal to his subjects, not just requiring loyalty from his subjects. How this relates to dogs, is that dogs are known for their loyalty, so the Leo Svamsa indicates a person with a loyal nature capable of devotion to his responsibilities, his kingdom, his ideals, etc. When afflicted, the Leo Svamsa person will not be able to maintain devotion or loyalty and may instead be self-serving, weak-willed, and not know their own nature. The word “Svapada” is in the Jaimini sutra for Leo which means “remaining in one’s own place.” This means to be dignified even in poor and humble circumstances, or in successful and commanding positions, without a need to validate one’s self-esteem by seeking to be “more” than they already are. 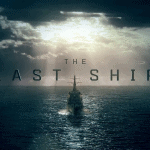 As we saw in the show The Last Ship, the Russian Admiral was not dignified in his role of the commander of the ship and he wants to be “more” than he already is – he wants to rule the world! For the other character, the U.S. Navy commander, these thoughts never even occurred to him. Instead, he is “remaining in his own place” by continuing to do his duty as a U.S. Naval officer even when there is no obvious reason to do so. He doesn’t need a higher authority, such as the now deceased U.S. President to tell him what needs to be done. He maintains his leadership when everyone is looking to him to know how to act in the crisis situation they are in and he does not fail them by indulging in his own personal fears and desires (he has a wife and two kids who are still alive and safe that he longs to get back to). One last post on Leo is coming up on Venus in Leo. Basically, I’m going to concentrate on the planet that is most dignified, or has the most power, in the sign under discussion every month, as well as a discussion of Venus in that sign because Venus is my favorite planet and the planet that rules over our relationships, a topic that most people are very interested in. RELATED: What Planet is He/She From? The Atmakaraka Planet in Relationships and The Spiritual Challenge of Virgo (when your Atmakaraka is in the sign of Virgo). SPECIAL OFFER: If you’ve ever wanted to be a leader, my comprehensive reading, Your Great Work, is the reading that will tell you if you are a leader by temperament and how to be the best leader you can be. Or if you’ve wanted to be a CEO, President of the U.S., or just self-employed this consultation will tell you if you will achieve it.